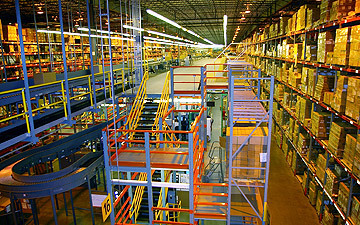 A rack is a single or multi-level structural storage system that is utilized to support high stacking of single items or palletized loads. Racking systems are a fundamental component of any distribution, storage, or material handling operation. 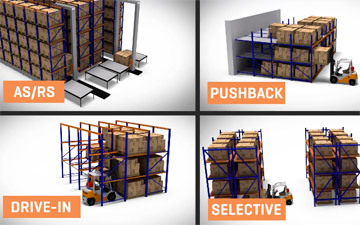 The right racks allow rapid access to stored or mounted materials, as well as a dependable, ergonomic product storage solution. 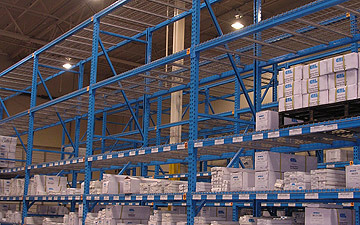 Racking systems maximize facility space while simplifying inventory requirements. 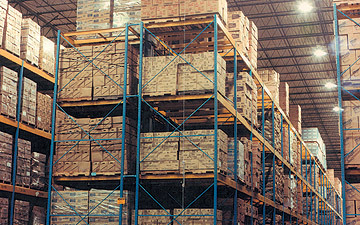 Pallet racks are among the most widely used type of storage solutions in heavy industry, shipping and manufacturing. Rack decking is manufactured in a variety of styles, from wire mesh to channel-reinforced steel decking. 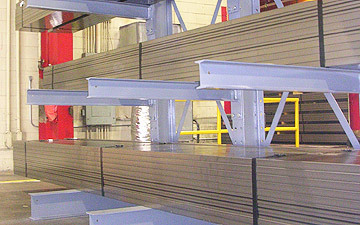 RMI develops American National Standards for industrial steel storage racks and welded wire rack decking. RMI has drafted the American National Standards ANSI MH16.1 (for industrial pallet racks), ANSI MH16.3 (for cantilever racks), and ANSI MH26.2 (for wire rack decking) and certifies compliance with the standards via the R-Mark Certification Program. Product testing and R&D programs funded by RMI over the past 35 years have resulted in virtually all of the technical advances made within the U.S. Codes/Standards Community. 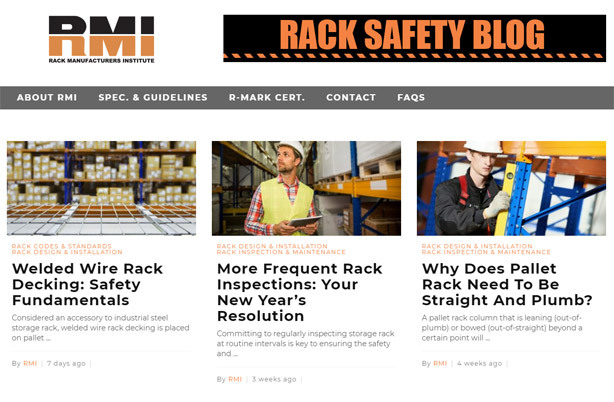 RMI members prepare and conduct extensive educational materials and programs to create additional value for you as a user of industrial storage racks and related products. All RMI members are seated on the RMI Engineering Committee. RMI representatives maintain seats on a number of code and fire safety bodies to further assist in advancing the state of the art in rack design/application. RMI collects and disseminates reliable industry statistics. RMI believes that it is important to you that your supplier be committed to the principles of continuous improvement in both product design/application and in the highest Professional and Ethical Standards of Performance as embodied in the mission and work conducted within RMI. Inspection and Maintenance of Rack Systems. 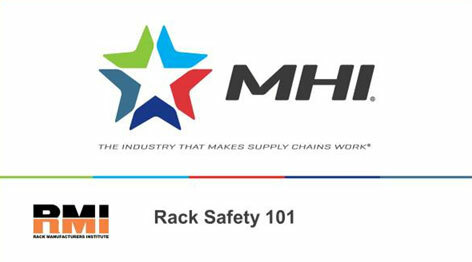 Please view the Rack Safety 101 Webinar to learn more about these topics. The Material Handling Education Foundation, Inc. has awarded the $2,500 Rack Manufacturers Institute/John Nofsinger Honor Scholarship to Jessica Francis. Jessica is a rising senior at West Virginia University majoring in Civil Engineering with a concentration in structures. In her engineering program at school, she has taken several different engineering courses. She really enjoyed the industrial engineering class where she was introduced to material handling concepts. She is currently working on a semester-long project to develop a production process for creating college emblem mosaics. Other courses she has had include ergonomics, standardization and efficient space utilization. Jessica plans to enter the workforce after graduation. The Material Handling Education Foundation, Inc. has awarded the $2,500 Rack Manufacturers Institute/John Nofsinger Honor Scholarship to James Anunciacion at the University of Minnesota. James is a Master’s Degree student majoring in Supply Chain Management. He has worked in various supply chain roles for over twelve years and is now embarking on a journey for a Master’s Degree in Supply Chain Management. He is also interested in developing and strengthening his understanding of global supply chains. After graduation he plans to stay in the supply chain workforce and give back to his community. The Material Handling Education Foundation, Inc. has awarded the $2,500 Rack Manufacturers Institute/John Nofsinger Honor Scholarship to Andrew Ortman at the University of Wisconsin at Madison. 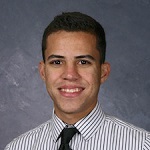 Andrew is a Master’s Degree student majoring in Supply Chain Management. He has an undergraduate degree in theater; however, he became aware of the supply chain while starting a business to import wine from Austria. In addition, he has had the opportunity as a university administrator to complete training in Lean Six Sigma, Design for Lean Six Sigma and Kaizen. He enjoys data driven problem solving to kill white space, improve customer experience and increase process capacities. It was this passion for process improvement that prompted him to return to school full time. After graduation, Andrew plans to re-enter the workforce. The Material Handling Education Foundation, Inc. has awarded the $2,500 Rack Manufacturers Institute/John Nofsinger Honor Scholarship to Francisco Aldarondo at the University of Michigan. Francisco is a PhD student majoring in Industrial and Operations Engineering with a concentration in production, distribution and logistics. He has worked with both GE and Renewable Energy to develop modeling and data analysis. After graduation he would like to teach at a research university and to secure funding from federal agencies and industrial partners to study new trends in supply chain like collaborative logistics and enabling technologies such as the Internet of Things. Executive Members manufacture and control the structural design and manufacture of industrial steel storage rack. Executive Members can participate in all RMI membership activities. General Members manufacture and control the structural design and manufacture of industrial steel storage rack. General Members have limited participation in RMI membership activities. Associate Members include manufacturers of structures or structural components of the following types: Portable Racks designed to stack, Pallet Stacking Frames, or Structural Rack Decking. Associate Members also include manufacturers of rack repair and safety components for industrial steel storage rack. Associate Members have limited participation in RMI membership activities.